Ingela and Marcus left the hectic life in Gotheburg city to live and work closer to the ocean with the family and one another. 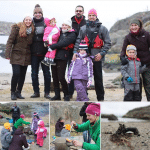 Here you have a family devoted and loving couple with a drive to create company with focus on service and tailored solutions in the magnificent archipelago west Sweden. 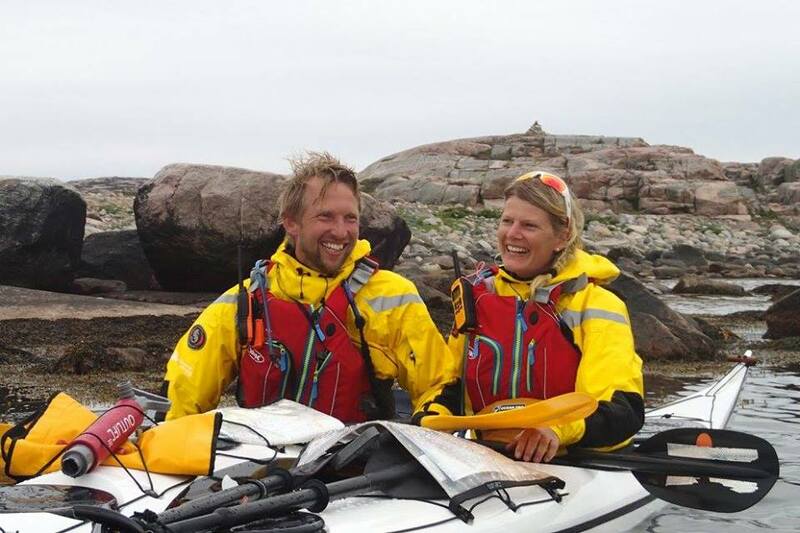 Ingela & Marcus Holgersson met and fell in love ten years ago in Gothenburg. Ingela with her roots in Grönemad, Grebbestad for generations has now returned after years away as a guide in France, Brittish Virgin Islands and with a masters in Media & Comunication. Marcus, from the other side of Sweden with roots from the small island Arkö och the east coast has been working in US, UK, Australia both as a camp counselor for the YMCA and IT consultant for Framfrab in London. – We met through mutual frieds and it didn’t take long before we were a family, sais Marcus laughing. After a few years in Gothenburg with out two kids we felt like we wanted to away from the city and closer to nature and the ocean. So when we got the chance to renovate Ingelas grandparents holiday house to a permanent housing 2008 it was an easy decision. – The initial idea was to continue to work in Gothenburg a few more years before moving up permanently. But 2010 the urge was to strong and we quit our jobs and moved with our kids, Ally & Carl, to a new life and with a new company. It was very exciting sais Ingela. With their experiences as guides and guests from nature tourism around the world we knew what we wanted to create and offer. 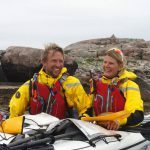 The idea was to make the archipelago more accessible for tourists from all over the world, all year around – 2011 they started their company Skärgårdsidyllen (idyllic archipelago). 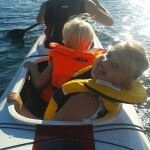 Today the company Skärgårdsidyllen offer kayak/paddleboard rental and guided tours, accomodation, swimschool, walks, family adventures in the archipelago all year around. – Our strength is that we are flexible and serviceminded and have many years of experience with both small and large groups. The key to success is to understand and listen to the guests needs and dreams. 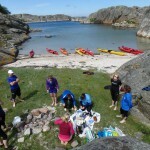 If one prefer to paddle one way, downwind, island picnic in the sunset, just let us know and we are happy to make it possible. – We feel privileged to live and work in one of the most beautiful archipelagos in the world and we want the share this with guests from all over the world. We are happy to share our our favorite places and activities. Our philosophy is to offer familys and visitors activites and experiences that we would like to have when we are on holiday with our family, sais Ingela before the couple peacefully leaves me on the beach in their kayaks that are reflected in the clear water. Come and experience a memorably holiday or break from everyday life – all year around!